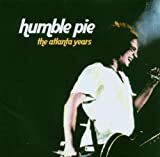 Humble Pie (MK3) - December 7, 1983 (AUD - 78 Minutes Long) Annie's Saloon Cincinnati, Ohio, U.S.A. This recording comes from a January 2007 download (thanks to whoever, THX!!! ), but these are not those original files. Also original lineage on this is "cd boot", but I do not know if that means this came from a Liberated Bootleg, as I am unaware of any. Annie's Saloon Cincinnati, Ohio, U.S.A.
Quality varies on this one with a wee bit distortion from time to time.